March Madness – Is Your Bracket Busted Yet? The time has come for another round of March Madness! 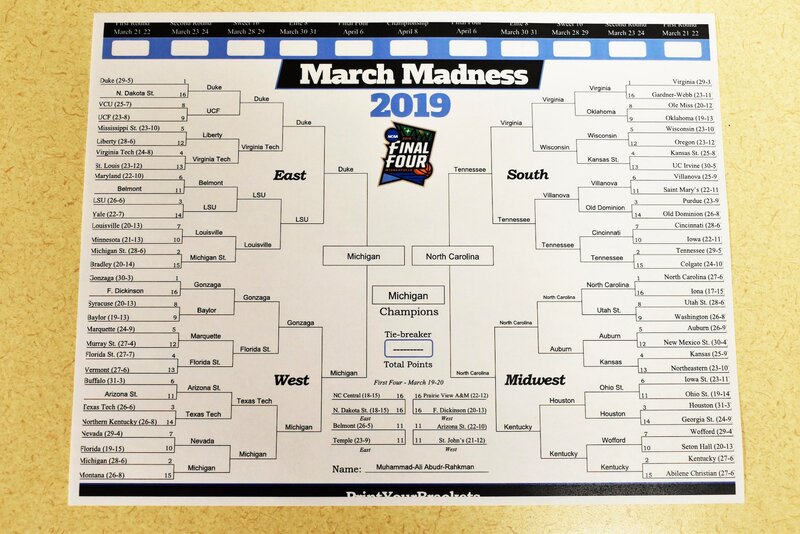 Every year, millions of fans fill out a bracket to compete amongst friends, colleagues, celebrities and basketball experts in hopes of (at least) winning some major bragging rights. This year, Michigan alum Muhammad-Ali Abdur-Rahkman and Kansas alum Malik Newman have agreed to let us make their brackets public. Think you have what it takes? Follow along, compare and see if you can beat these #MarchMadness alums. University of Kansas alum Malik Newman helped lead the Jayhawks to a Final Four victory over Duke in the 2018 NCAA Tournament. Newman finished the night with a career-high 32 points, 13 of which were scored in overtime. University of Michigan alum Muhammad-Ali Abdur-Rahkman was a key component to Michigan’s 2018 National Championship run. Michigan lost the title game to Villanova on April 2, 2018 but Abdur-Rahkman led the Wolverines with 23 points in the Championship game. Abdur-Rahkman played 144 games in his colegiate career, finishing his as Michigan’s all-time leader in games played.